These images portray 34 adults from many different walks of life who struggle with a variety of issues related to their illnesses. They share their thoughts and feelings, including the disappointment of no longer being able to drive, the determination to remain employed, the affection for friends who also have a mental illness, and the courage to pick up and start over after one of life’s devastating events. Each story is enhanced by quiet but powerful photographs by award-winning photographer Marc Hauser. 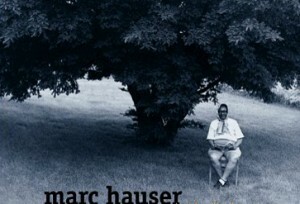 Marc Hauser, a professional portrait photographer for thirty years, has won more than a hundred awards for his photography. He is best known for his portraits of celebrities such as Michael Jordan, Mariel Hemingway, Woody Allen and Jim Belushi. Alison Hauser, who interviewed and edited the stories of the subjects, is a social rehabilitation counselor, freelance writer, and former newspaper reporter.